And just enjoy a cup or two. 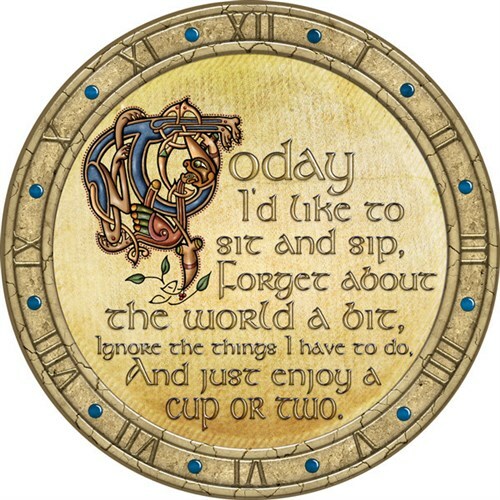 This coaster features this lovely quote in beautiful decorative Celtic script, surrounded by a roman numeral clock face. Cork backed and heat resistant.